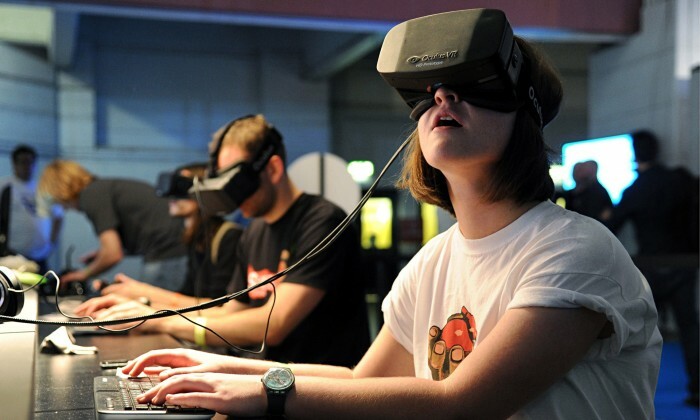 Oculus Rift HD Dev Kit (DK2) to Be Released Before Consumer Version? 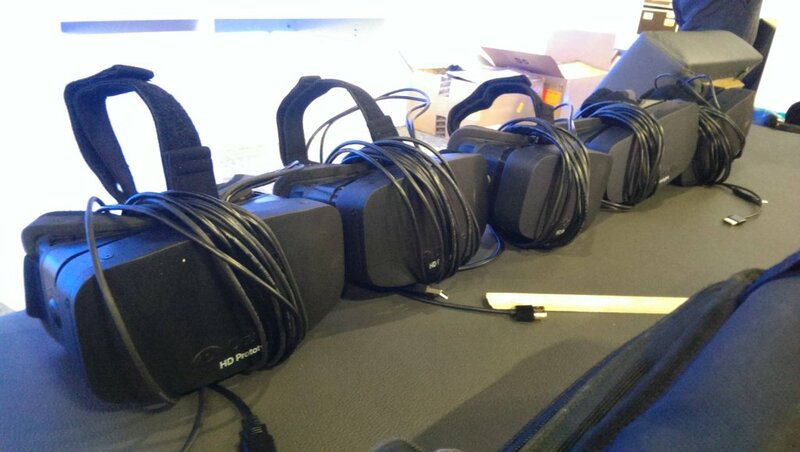 Update: Oculus Rift HD Dev Kit (DK2) to Be Released Before Consumer Version? 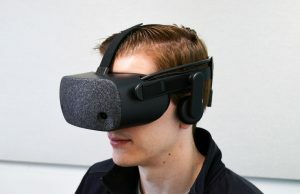 An article covering Oculus’ appearance at GDC Europe 2013 claims that the company will release an Oculus Rift HD dev kit prior to the release of the consumer version in 2014. 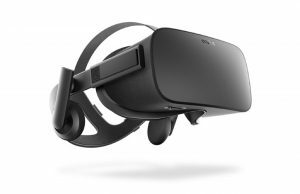 Update 2 (10/19/2013): Oculus has doubled back on what they told us at Gamescom and have now officially confirmed that an Oculus Rift dev kit 2 (DK2) would ship before the consumer model. 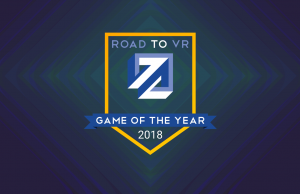 Update: At Gamescom 2013, Road to VR’s Paul James spoke with Oculus VR Inc Founder, Palmer Luckey and VP of Product Nate Mitchell, who confirmed that there would be no Oculus Rift HD dev kit before the consumer version ships sometime in 2014. 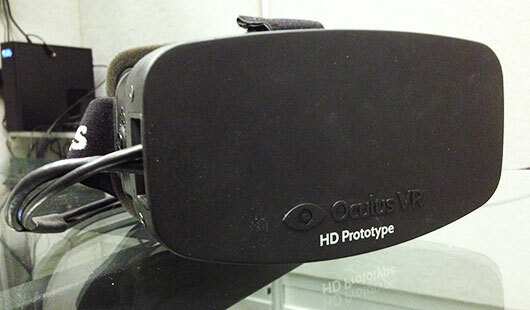 Oculus VR Inc first showed the Oculus Rift HD prototype at E3 2013 in June. 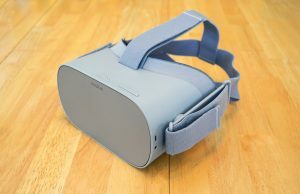 As the original Oculus Rift dev kit (DK1) was still shipping out in high demand, it was an unexpected but welcome development. 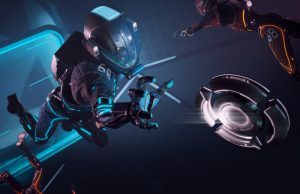 It wowed much of the gaming press at E3 and came away with a slew of awards, including the Game Critic Awards ‘Best Hardware’ at E3. 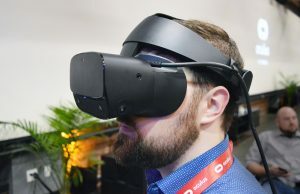 But Oculus was careful to call this a prototype, rather than a forthcoming dev kit, saying that they had “no solid plans” to release it, and only had it at the show to demonstrate the progress they were making. 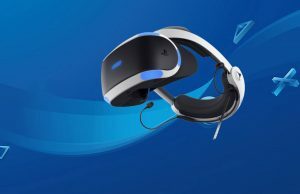 An improved developer version of the Rift, previously scheduled for the 2nd half of the year, was pushed back to “shortly before” the release of the consumer version to make it as equal as possible to the consumer version. Until then developers have to rely on the current kit with its 720p resolution. The article doesn’t mention precisely where this info came from, but does have other quotes from some of the Oculus executives. The ‘previously scheduled’ bit mentioned refers presumably to an old roadmap that Oculus showed in March at GTC 2013. That roadmap indicated that the company anticipated launching a DK2 in Q3 2013. 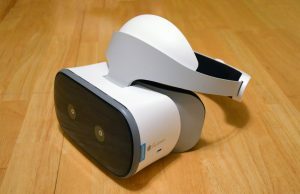 More recently, Oculus has indicated that we wouldn’t see the consumer version ‘Oculus Rift 2’ in 2013. 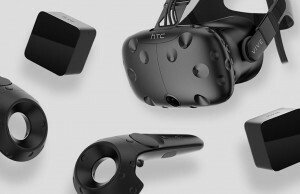 If the article from Heise is accurate and the Oculus Rift HD dev kit (DK2) is to launch “shortly before” the consumer version, than it would likely be in 2014 as well. 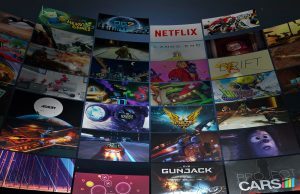 So far there’s no official announcement from Oculus VR Inc about an HD dev kit (DK2) or a release date of the consumer version of the Oculus Rift. 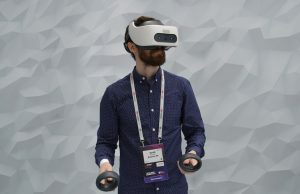 At previous recent tradeshows, the company appeared to have only one Oculus Rift HD prototype. 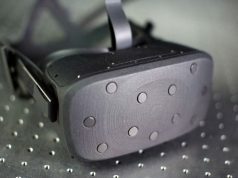 At Gamescom 2013, held this week in Germany, the Oculus VR Inc booth has a larger fleet of Oculus Rift HD prototypes, perhaps indicating that they’re indeed moving forward on that trajectory. Road to VR’s Paul James is on the ground at Gamescome 2013, we’ll see if he can’t get to the bottom of this! Uhoh, if they actually release an HD version as DK2 I’m not sure if I can hold off. Then again, if it is close to the consumer release it might be pointless do get it :P Hmm. Still exciting news to see so many HD prototypes. I’d guess they’re making them in house to ship out to key partners… it would make sense at least! Only if the specs are the same/similar to the consumer version would this make any sense. I’d hate to make a moderate step-up, only to see the consumer version get 720p/1080p …per-eye. There are so many innovations they could make with their hardware…. AR cameras, wireless, 9DOF movement, wireless, hdmi 1.4a support, …did I mention wireless? The next devkit shouldn’t just add 33% more pixels. That’s some fuzzy math you are doing there… 1080p is more than twice the pixels 720p is. And in the case of the rift, it would actually work out to even more than that. Because on the dev kit they are using a screen that is too big for the lenses, resulting in even more wasted pixels than the prototype that uses a smaller screen. Sure, it’d be nice if the DK2 had positional tracking and other features. But I can’t see why serious developers wouldn’t spend another 300 bucks just for the screen. Since it would give them a better sense of what size text they can get away with for a GUI or just text in general. Furthermore, to design the mass production process isn’t a trivial task. I don’t think it’s worth for oculus vr to go through all that again with a new development kit. And that’s assuming the *same* size display. Things get far worse in a real hurry, once the aspect/size starts to grow. Another problem in your calculation is that you ignore the increase to be two dimensional. You must compare the total pixel number, which increased by +100% or a factor of 2. This means that each old pixel contains 2 new pixels. Hence, the information per pixel doubled. This the variable which is linearly coupled to the subjective quality of the screen, not the dpi-number. Sorry if I wasn’t clear. But the difference between 215DPI and 315DPI is ~33%. I choose DPI because it’s common, You say I’m ignoring DPI² … what the heck? 215DPI^2 = 46225 pixels per sq inch. 31DPI5^2 = 99225 pixels per sq inch. There’s your “+100%.” Dimensionality doesn’t matter. It’s still 33% DPI, or !00% DPI², Tomato, tomato. Yes, it is a higher quality *screen*, but that’s not what I was pointing out. …simply because you aren’t looking at the entire screen. Consider the difference of looking at that same 1080p screen from 13ft, and 5 ft. Then further consider how much of your vision that takes up, how much you turn/move your eyes, etc. The bottom line is, no matter how you prefer to state it, “we need much denser screens.” Having 2 pixels where there was one is great, and all. But I prefer not to be able to make out pixels at all. “8K, or “Ultra HD” which works out to: 33,177,600 pixels. 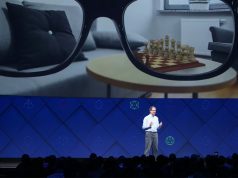 So, once we get 8k per eye, we’ll probably want eye tracking to go along with it if it comes sooner than the graphics cards can keep up. So we can just get full resolution right where we’re staring at on the screen. After that we’ll still need more and more pixels. 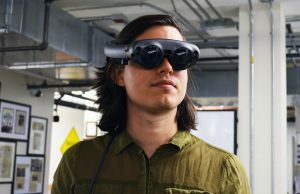 But only if we ever have VR that employs nvidia’s new “near eye light field” displays. That technology needs all the resolution you can give it. 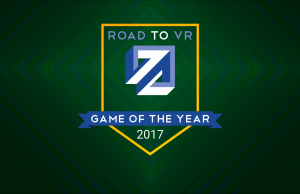 Reads to me like all they know about is the road map, and that a 1080p prototype exists. If they really are doing a second dev kit I’d think that they woouldn’t just add resolution, but also some sort of positional tracking. Positonal tracking is something that devs really need to test with to integrate it into their games, so it would justify a separate product more than just added pixels would. Phew! Am I the only one here to be relieved that a Rift DK2 won’t be coming out before the consumer version? This really had me worried, specifically because I thought there would be an ungodly number of people out there who wouldn’t be able to resist the urge to just go with the 1080p kit only to find themselves so disappointed once the consumer version hit the shelves and they see what they didn’t get. It’s important for OVR not to muddy the waters here. 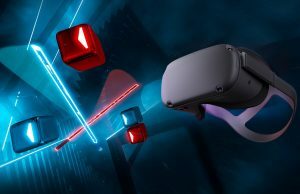 Something that I think would be prudent for Oculus to follow up on though is that once the consumer edition is released (and sales of the dev kit end), they would do well to release retro-fitting kits to add the key functionalities of the consumer edition (such as a dedicated positional tracker and updated optics system) to the 1st dev kit. I am keeping in mind that the above suggestion may well be financially untenable, but that doesn’t mean the idea doesn’t have merit. I say this because those 15,000+ kits are still out there in the wild, and with the option of an upgrade kit devs might find it easier to find homes for ole’ faithful much more easily – as there will be just as many yet-to-be-Rifters who might not be able to afford the consumer edition, don’t have the PC power for a 1080p version and are willing to settle for the basics. Didn’t mean to rant lol. 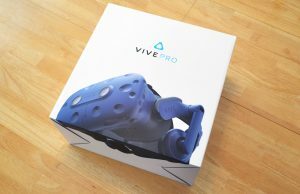 I read that there are currently 50 handmade HD prototypes around – for example the new demo of EVE VR was shown on HD prototypes iirc. And it makes sense that a HD DK will only be available shorty before the launch, today the screen is just too expensive and most devs have a dev unit. What I, as a dev, would like is some information on positional tracking. And what other features the final Rift will have – but I guess they will keep that information for partners for a while.